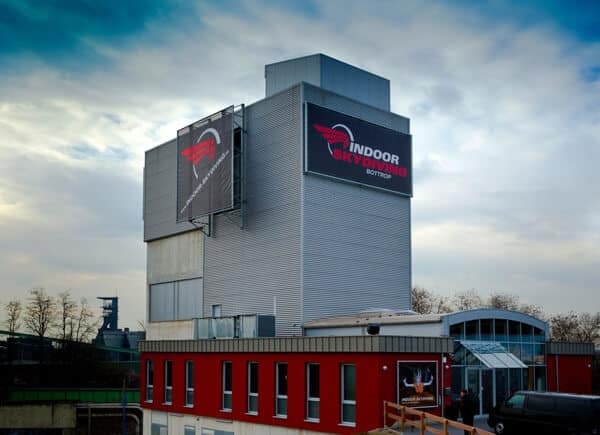 Indoor Skydiving Bottrop is the first tunnel opened by Manufacturer Indoor Skydiving Germany (ISG). The tunnel features an easily recognizable 14 foot/4.3 meter flight chamber which is a 12 sided real glass design. The tunnel is a single sided recirculating design which is unique to ISG tunnels. The tunnel has set an example by changing the normally professional or corporate feel to a tunnel and presenting an at home feel. 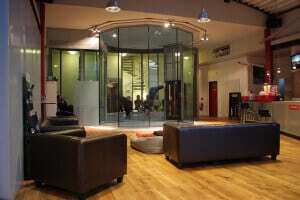 The tunnel observation area has a living room feel which features bean bags and a bar. Indoor Skydiving Bottrop may not be the newest tunnel, but it is the best because of their World Class instructors. Learn from a top notch team of highly skilled professional flyers who passionately love their sport. They are fully dedicated to making your flight experience a fun, memorable, and safe one.